Our newly refurbished motel rooms offer a refreshing change to sleeping in the cab and are also available to the general public. We want to make your stay as comfortable as we possibly can. All rooms come fitted with a TV, table, chair and bath towels as standard. 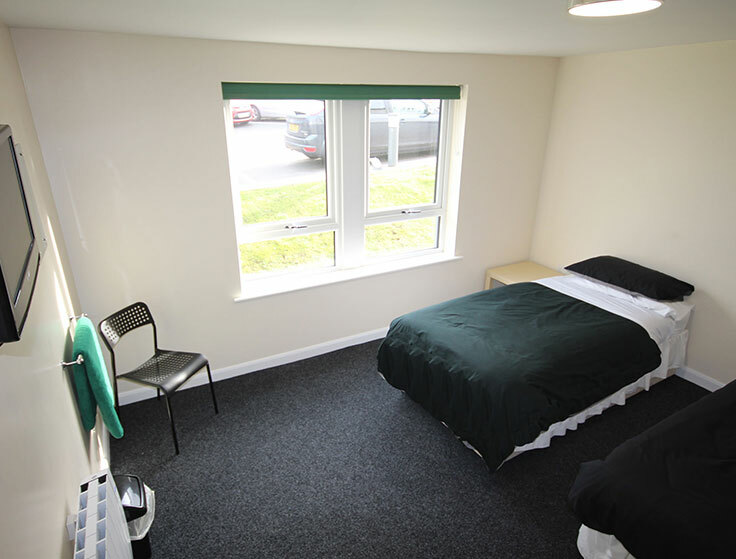 Access to our resident’s shower and toilet blocks is just a few feet away from the rooms. For drivers passing through or sleeping in the cab we have state of the art refurbished showers for both the men and the women at a cost of just £2.00, paid for in the shop. There are also public toilets and wash basins for use free of charge.